Prof Wole Soyinka (Nobel Laureate) and six other like-minded fellow students then. Their ultimate objective was for the attainment of a just society. Pyrates Confraternity, in service to humanity, wherever we exist. Prior to 1984, when the Pyrates Confraternity was in some tertiary institutions in Nigeria, we protected weak students, and stood resolutely against tribalism. In the 1970s,1980s and 1990s, Pyrates led the fight against military dictatorships. Specifically, the NAS was key to the democratic struggles against the Abacha junta, for which many Seadogs were hounded, harassed, imprisoned, tortured and brutalised. That battle was won, but Pyrates remain the unsung heroes of those Dark Ages. But that is who we are! We do not seek for accolades. We simply get on with what needs to be done to make a difference for humanity. Through its National Integration projects, the National Association of Seadogs has been championing a detribalised Nigeria for close to forty years. Under the aegis of the NAS Citizens Summit, we organise regular town hall meetings and awareness campaigns (e.g. 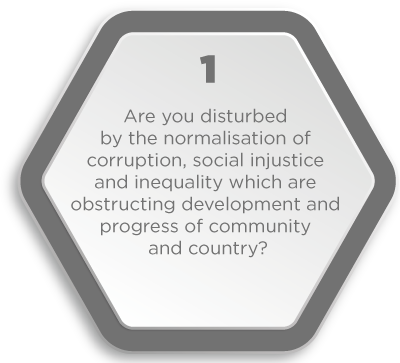 #OurVotesCount) to strengthen democratic ideals, champion voter awareness, and demand accountability from political leaders in Nigeria. Through the NAS Medical Mission, we deploy our vast medical professional human resources in the field to deliver free medical interventions to communities that have limited access to quality healthcare. Our legal professionals provide voluntarily legal aid and without payment, for the public good. We also champion cases towards promoting citizens’ rights. The NAS Street Child Project supports NGOs that work to take children away from the streets. These are just the tip of the iceberg of what Pyrates have done, are doing and can do. Who do we not want to join us? This is not an all comer’s affair. Instead, we seek to join hands ONLY with those who have a natural connection with the above stated maxims of the Pyrates Confraternity. If our above declared core values and activities DO NOT resonate with you, please you DO NOT need to bother yourself any further. Definitely, the National Association of Seadogs (Pyrates Confraternity) is not for you. STOP here! However, if you are in tune with the core values of the Pyrates Confraternity or wish to partake in our drive for a better society or yearn to inculcate our values into your way of life, then we encourage you to proceed further. The new membership application for 2018/2019 has now closed. Please check back in November 2019 if you are interested to join the National Association of Seadogs (Pyrates Confraternity).